The interest in what we have classed liberally as "Oriental Vegetables" increases every year. They can be used raw in salads, or lightly cooked for use in stir frys and numerous Chinese style meals. We hope you will be tempted to give something different a try. 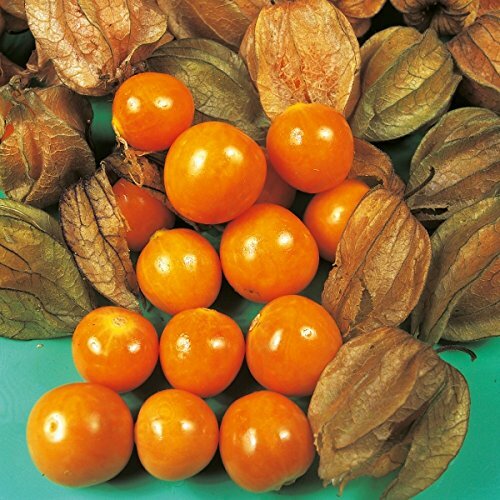 Cape Gooseberry is also known as Physalis and is a tall growing plant of up to 2 metres high. The perennial plant produces star shaped flowers in July and August which are then followed by green cyclos which turn bright orange-red when the fruits are ripe. They are delicious when eaten raw or can alternatively be made into a delicious jam. They also make a beautiful garnish for desserts to show off to your friends and family.